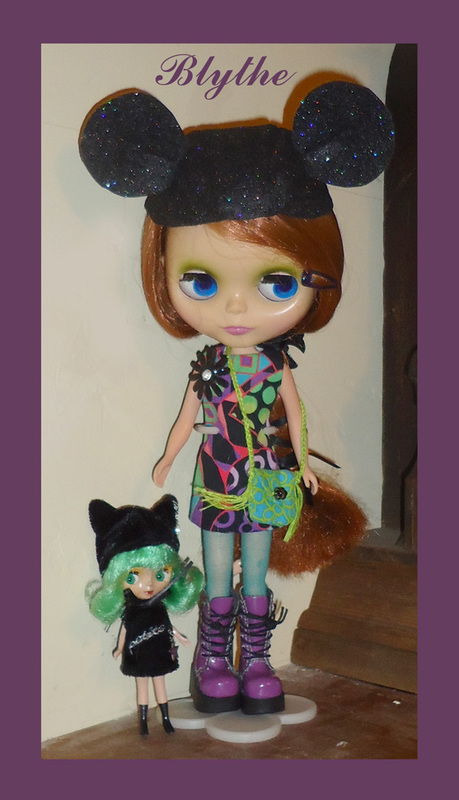 More fashion inspiration for Blythe fans and people who just like paper dolls. 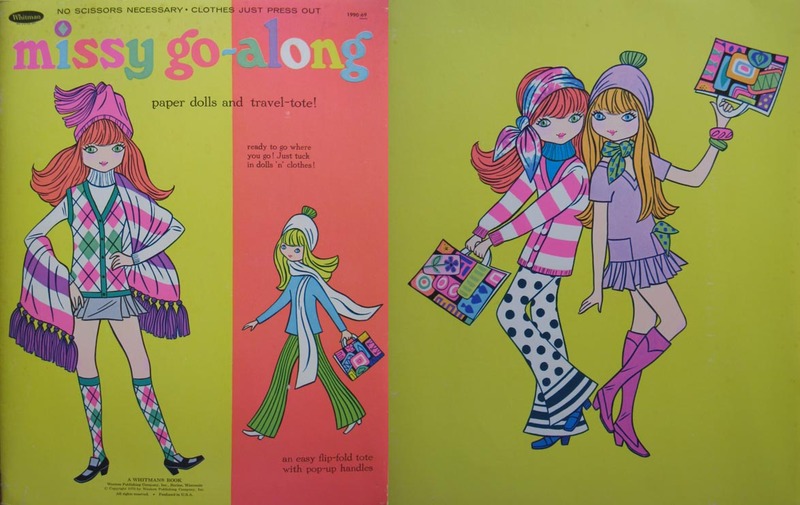 Missy Go Along is a fun, funky paper doll from 1970. 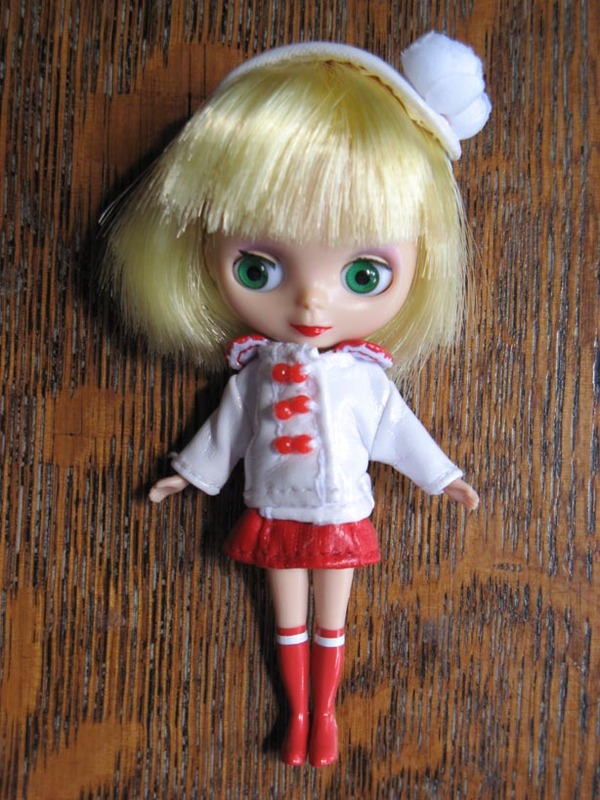 There seem to be several variations on this set, with different hair styles/colors and a variety of different costumes but all with dolls in the same poses. 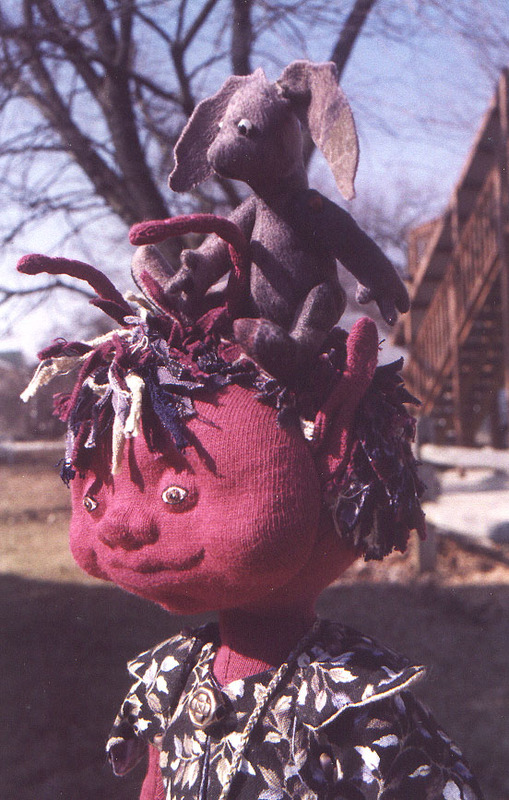 I actually had a similar set of these dolls as a child — having this set in my collection is a real nostalgia trip. 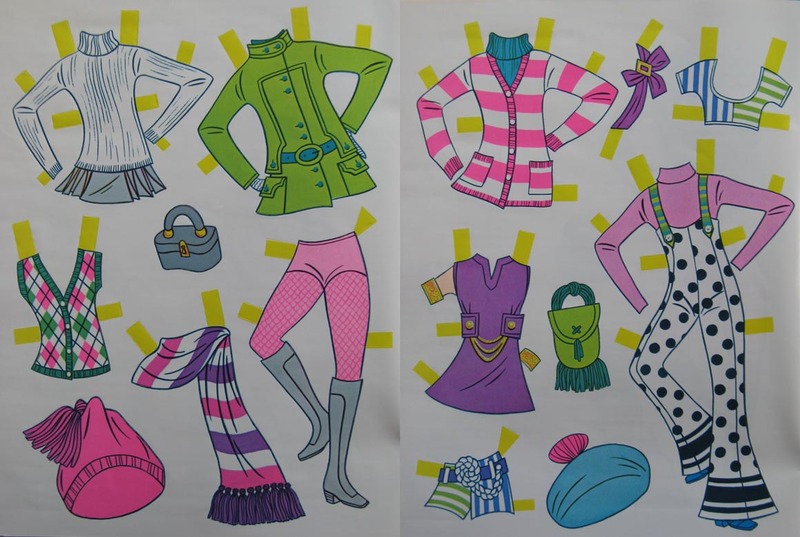 Love that green coat worn with bright pink tights and grey boots. Quite Fab! 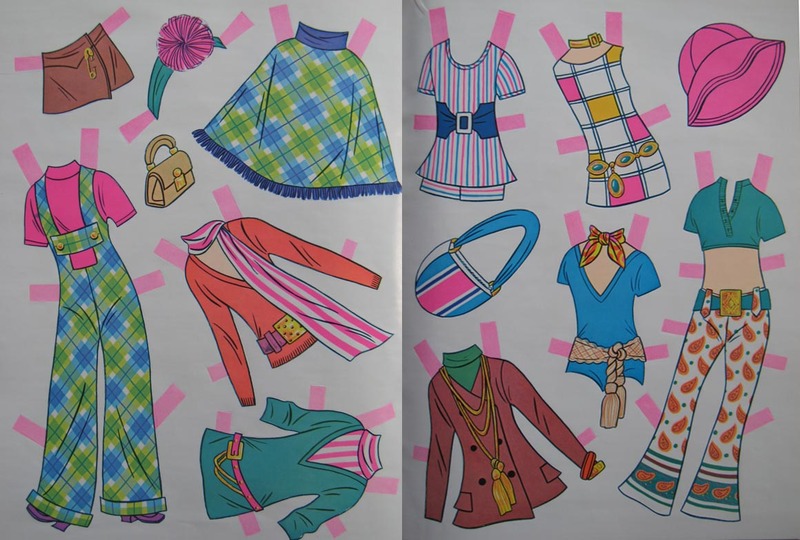 The dress pattern I used for the Blythe Birthday outfit would be perfect for the (white-pink-yellow) pseudo mondrian check dress. The fabric could be made fairly easily with applique or paint with ribbon or ric-rac borders. Now I just have to keep my eyes open for some jewelry components for use for the belt. 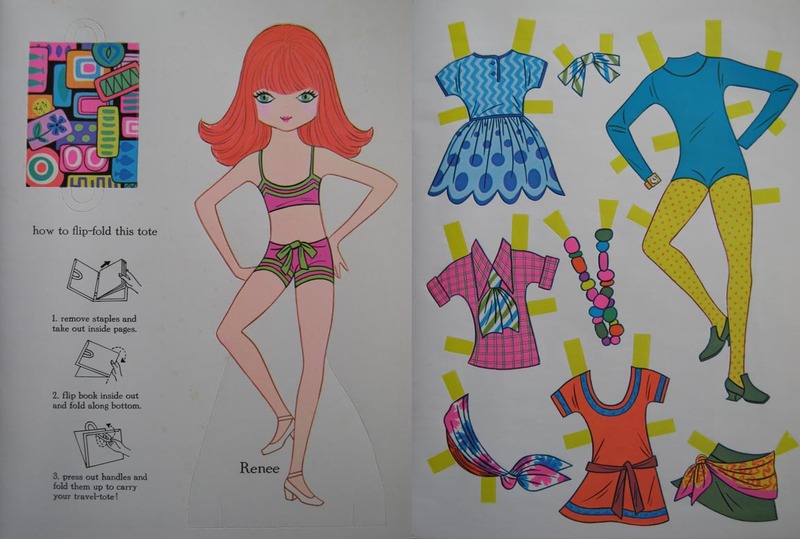 Even if you don’t have a Blythe (or other doll) who demands new clothes on a regular basis, it’s fun to look at the funky possibilities and know that once upon a time, not so very long ago, actual people were wearing clothes that looked like this. 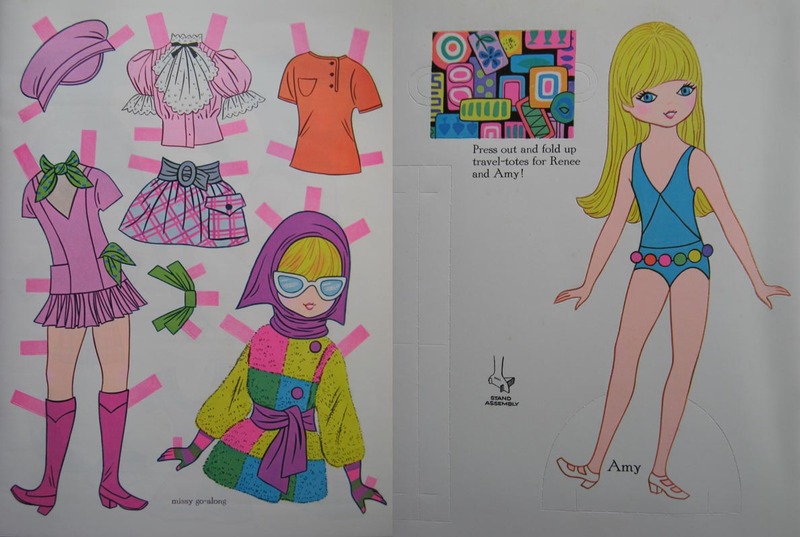 This is why I love paper dolls. They can be a quite accurate record of what people were wearing. Fashion and costume history books are great for historic (long, long ago) clothes but for the twentieth century — not so much. I’m also very much into the whole packaging, graphic design element of the look of them. Which shouldn’t be a huge surprise as I’m an ex-graphic designer myself. Plus they’re intensely fun, fun, fun and they don’t take up a whole lot of room which means they qualify as practical too (well . . sort of). First off; Milton Glaser is adorable. Really cuddley, love to have dinner with adorable. For those of you unfamiliar, Milton Glaser is a (absolutely famous) graphic designer. There are those who say he’s The Essential American Graphic Designer. He’s just plain brilliant. Do a Google image search — go ahead, I’ll wait. . . See what I mean? But here’s the real deal: everything he does, he does thoughtfully. He doesn’t just “phone it in”, he thinks hard about what he wants to happen as a result of the imagery he designs, and he purposefully chooses to make designs that will affect a positive change. Wha?? Yes, that’s right Virginia — simplicity done right is really, really bloody difficult. The other day, I was in the puddle-dom zone so I turned on the TV and wow! Sundance channel was showing Milton Glaser: To Inform and Delight. So I watched it. And loved it. Now lest you, dear reader, think I’m new to the Glaser fan club; when I went to graphic arts school (an undisclosed number of decades ago) Glaser was mandatory subject material. Then in the 90’s I saw a show about him and some book project he was working on (massive brain food fix), and now this new (made last year) documentary comes along. Happy, happy little brain cells are dancing in my head, they’re having a party and I do believe that there is even cake and ice cream. Now by this time, you are probably saying to yourself “OK, so she adores Milton Glaser, but what the heck is a Chatterling and what’s it got to do with graphic design????”. Here’s what: Words have Power. Images likewise. Knowledge of what words mean and how to use them correctly has massive power over the ability to communicate. 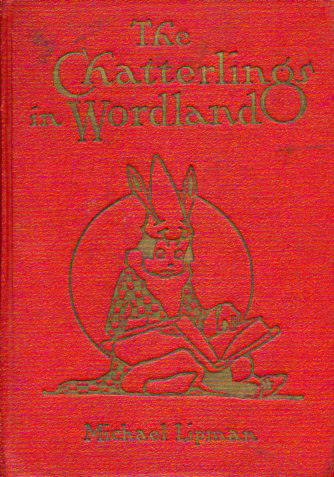 Which brings me to the Chatterlings. See what I mean, it’s a fun story. 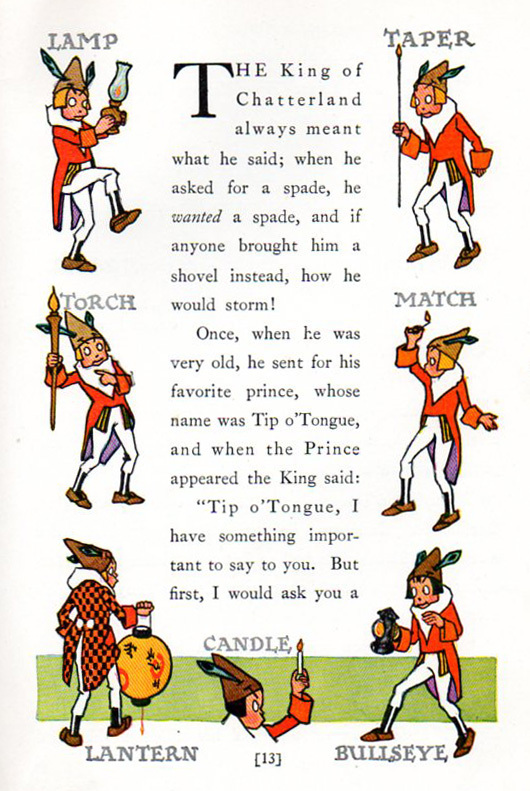 Oh, and a spade is a shovel with a flat, rectangular blade (not pointy). It falls into the category of all poodles are dogs, but not all dogs are poodles. It’s all about precision. 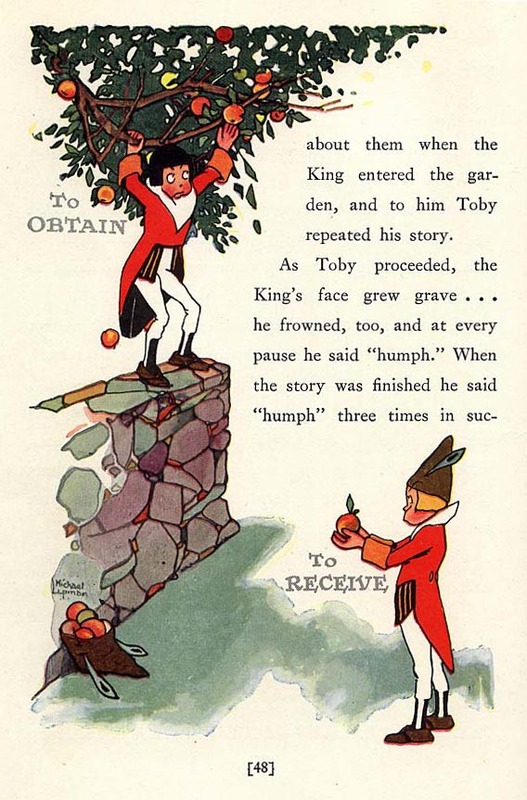 The illustrations are great, I just love the way they help to demonstrate the distinction between words that mean similar but not identical things (which is really the entire plotline of the story). 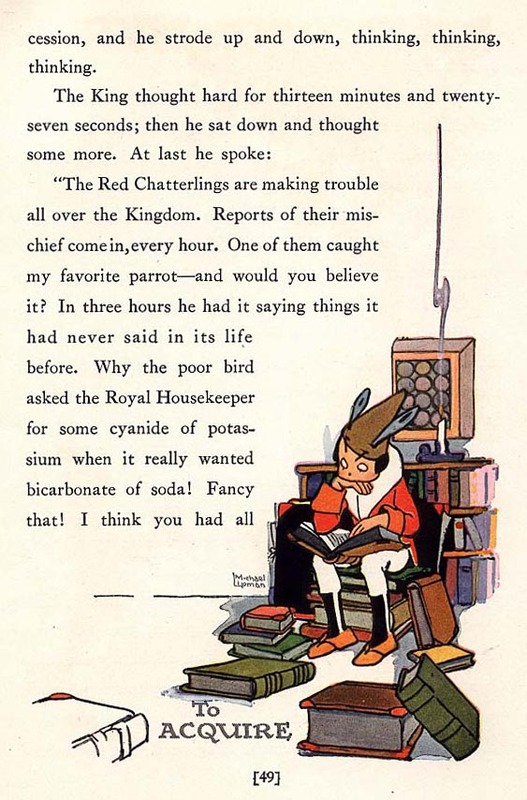 Which by the way clarifies why “Tell the Captain I am disinclined to acquiesce to his request” is such a great line. Yeah, I’m a Pirate, no surprise there. Even the Suggested Helps section at the end is full of great stuff. Suggested Helps, what a wonderful name for what would now be a Study Guide or Teachers Guide section (how drab and off-putting). Suggested implies that a child could and perhaps should read the pages and maybe even take something away from the experience. 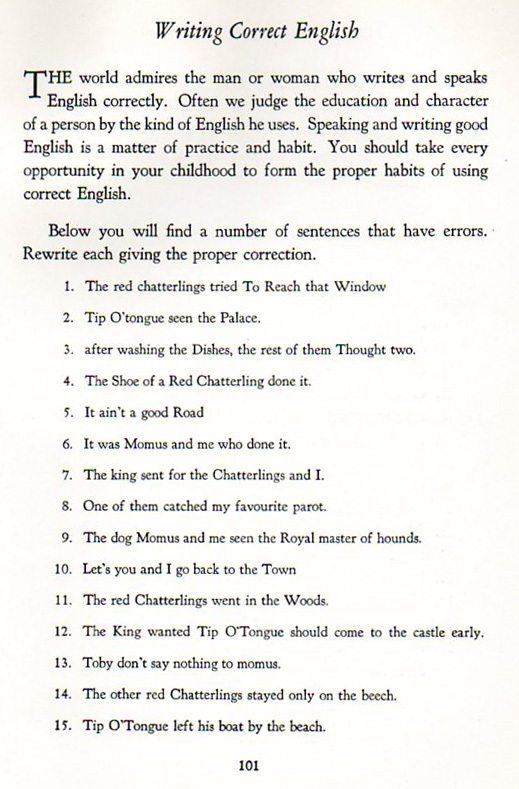 The world admires the man or woman who writes and speaks English correctly. Oh, how I wish that this were still widely true in America. Somewhere along the way, we lost sight of the fact that learning can be both fun and functional. That the big picture most definitely depends on the tiny details being accurate. I very much wish that someone, somewhere would bring this very useful book back into print. There are a great many children (and no small number of adults) who could greatly benefit from reading it. Because after all, there is great power in words and their attendant images.